Rami Malek maintains that he was not aware of the sexual assault allegations against Bryan Singer before he signed on for Bohemian Rhapsody. 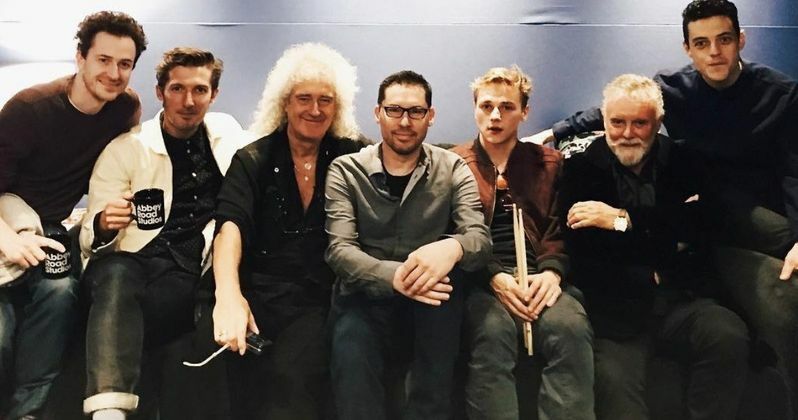 The Queen biopic had been in the works for a decade when Malek signed on to portray the iconic front man Freddie Mercury and the actor threw himself into the part. When fans first got a glimpse of Malek in full Freddie makeup, the resemblance was uncanny. However, the actor did more than just look like the front man, he transformed into him and it has earned him a Golden Globe and an Academy Award nomination. With such hard work going into Bohemian Rhapsody, Rami Malek didn't have the time or energy to really focus on anything else. The movie had a pretty torturous development phase, which did not stop when the cameras began rolling. Director Bryan Singer and Malek reportedly butted heads many times during the course of filming, but the actor did not mention that aspect specifically. When asked whether or not he had regret for working with Bryan Singer, he had this to say. "As far as I knew, I was considered before Bryan was even attached. So I had my head down preparing for this for about a year ahead of time, and I never really looked up. I didn't know much about Bryan. I think that the allegations and things were, believe it or not, honestly something I was not aware of, and that is what it is. Who knows what happens with that... but I think somehow we found a way to persevere through everything that was thrown our way... Perhaps that was Freddie himself doing it, because we wanted to make a product that was worthy of him. Who knows? I'm just proud that this cast and crew collectively raised their game and we depended on one another. It was a testament to everyone's spirit and courage and skill. And one thing I will say about everyone - almost everyone - we never gave up. How about that?" Bryan Singer's past has been one of the darker secrets in the entertainment industry over the years. The director has been accused of incidences of sexual misconduct and assault with minors for decades. When he was brought on as director for Bohemian Rhapsody, many were surprised. However, as Freddie Mercury would say, "The Show Must Go On," and it did. But Singer's behavior on the set became erratic and got worse when new allegations of sexual assault became public news. In the end, Singer was fired from the project with only a few weeks of shooting left. When pressed further about working with Singer, Rami Malek maintained that the movie is about Mercury. He explains. "I think they can understand that Bryan Singer was fired from the film. And that can be something that they can look at from a perspective of understanding why they can appreciate the film. And as far as I'm concerned, I never want to take away from Freddie's story. I think that puts a button on it in a number of ways. In light of what we're talking about, I would also thank Dexter Fletcher, who is a tremendous talent and came on when we really needed someone to see this through, and did an extraordinary amount of work as well." On the same day as the Academy Awards nomination announcements, a new set of allegations against Bryan Singer were made public. Four men allege that Singer was explicitly sexual with them in the 1990s when they were all under the age of 18-years old. The director has fiercely denied any and all allegations against him over the past 20+ years. Responding to the article that interviewed the men, Singer says that it is a "homophobic smear piece." Bohemian Rhapsody is now the highest grossing music biopic of all time. The movie has earned $801.2 million globally, and it is still in theaters. The biopic has received mixed reviews from critics and Queen fans, which caused a stir when it won the Golden Globe award for Best Drama. In addition to the critiques, many were shocked that a movie that Bryan Singer directed would receive such acclaim. With that being said, Rami Malek's performance as Freddie Mercury has been widely praised. You can read the rest of the interview with Malek over at Los Angeles Times.